We’re proud to announce the release of a better, faster and touchier version of OneNote for iPhone and iPad. We’ve been working hard on this release, and we’re excited to share it with you today. We received feedback that lists worked best with a keyboard, mouse and screens even the largest of cargo shorts couldn’t accommodate. Accordingly, checkboxes for ants have been replaced with checkboxes designed for humans. Quickly create a list from anywhere in the app by tapping the + button and selecting List. You can add new items by tapping Add Item or tapping return after you create or edit an item. In the event you no longer need a list item, simply swipe left to erase it from your view. We heard your feedback, now, checking an item moves it to the Completed section of the list. You can also show or hide completed items anytime. Tap Edit to rearrange, indent, or select multiple to-dos. List previews show how many uncompleted items are left to do. With improved functionality, you’re in control: you can switch any page from ‘note’ view (default) to ‘list’ view and back again. All lists will continue to work and sync as usual across all platforms. You can now view equations on iPhone. Much to the happiness of some students, they still have some excuses for not completing their homework, as it is not possible to edit equations. Yet. However, it’s now possible to view and edit equations on the iPad—teachers and students, rejoice! Torn between your love for the straight, orderly lines of ruled paper and the infinite possibilities of free-form note taking? Fret no longer! 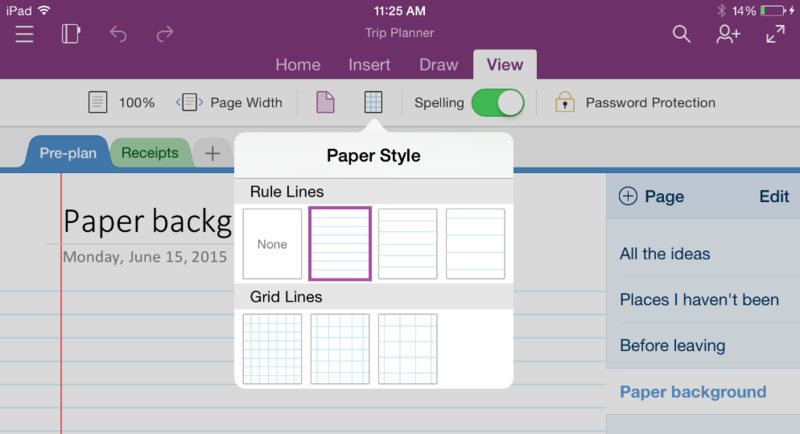 You can now add ruled or grid lines to your OneNote page. Imagine the geometrically regular possibilities! We simplified the iOS and Mac sign up experience so you can easily share notebooks with your friends, family, classmates, and colleagues. 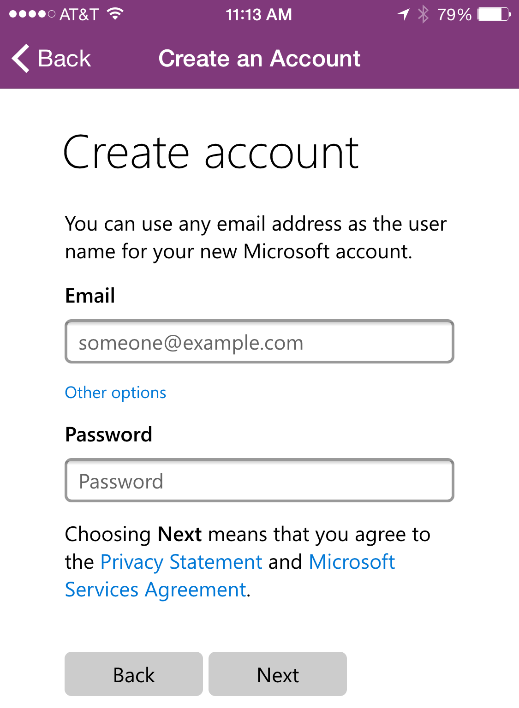 Now all you need is an email address, (it can be one you already have, such as Outlook.com or Gmail) and a password to create a new account and begin working together! Get the OneNote app today for iPhone and iPad. We appreciate your continued feedback via the App Store, Facebook, and Twitter—we rely on it to continually improve OneNote and make it the best possible note-taking experience for you, our customers. Let us know what you think in the comments below. —Ryan McMinn, product manager for the OneNote team.